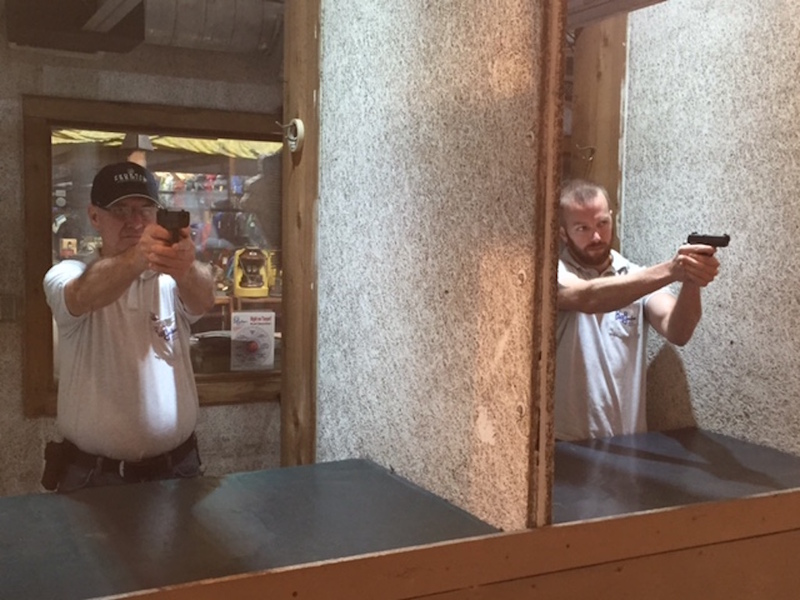 Bill Jackson’s Concealed Weapons Class for the Experienced Shooter is an accelerated course for those who are over 21 years old and already experienced with handguns and shooting. We discuss gun safety and handling, fundamentals of shooting, procedures for applying for your Concealed Weapons license, common weapons violations and transportation. Included in the three-hour course is range time with a NRA-certified/USCCA-certified instructor on Bill Jackson’s indoor range and a certificate of completion for the Concealed Weapons license application. Note: To be sure you receive the correct Concealed Weapons/Gun Safety Class, the Experienced shooter classes require prequalification. Prequalification includes: answering specific questions about your safety knowledge, your handgun experience and passing a skills evaluation, which includes shooting 20 out of 25 rounds inside an 8-inch bulls-eye from various distances. Shooters who demonstrate proficiency in handgun knowledge and handling are welcome to join the Experienced class. Shooters who need additional training are welcome in the Novice class. Each student will supply his or her own gun and 25 rounds of ammunition. The course fee is $65 per person. There is a prequalification fee of $10. Call ahead to schedule.